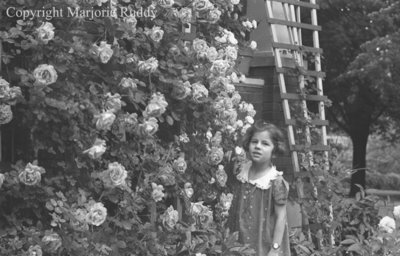 A black and white negative of Marion Rowe standing beside a wall of a house covered in climbing roses. In this view she is looking at the photographer. Marion Rowe, June 25, 1938, Marjorie Ruddy. Whitby Archives A2013_040_877A.